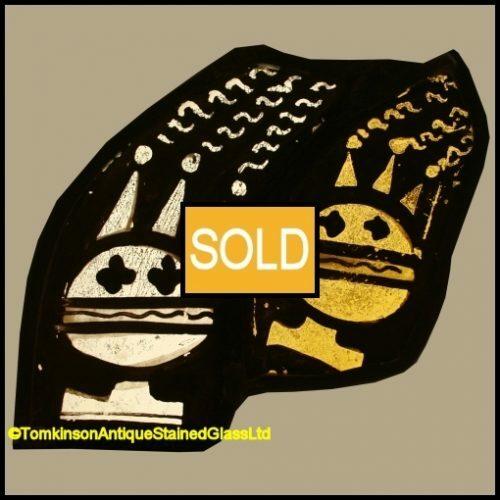 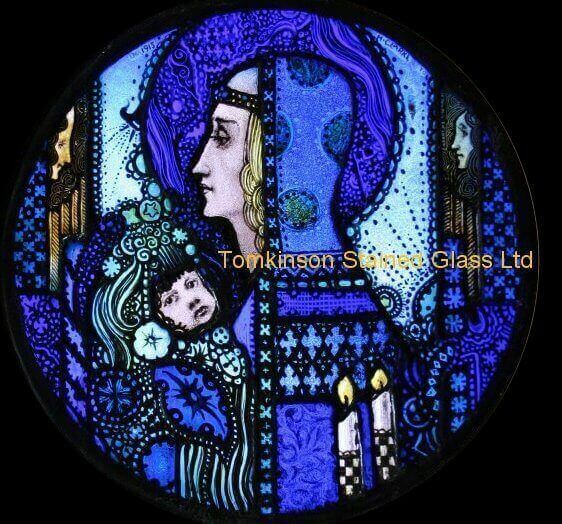 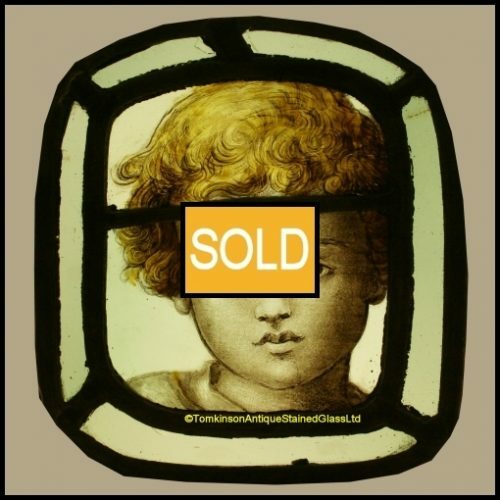 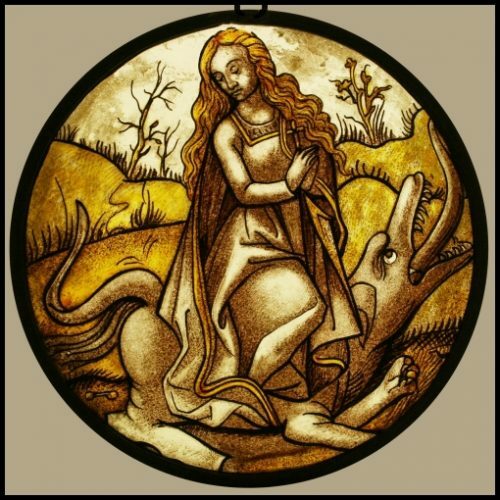 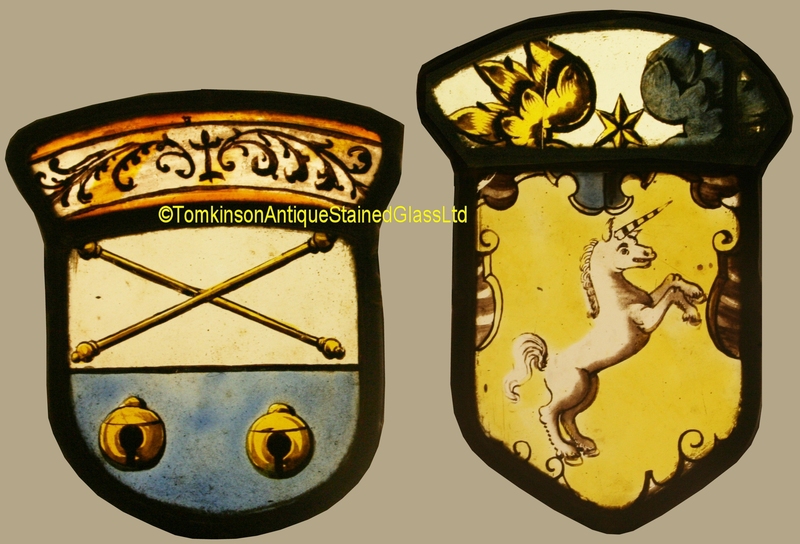 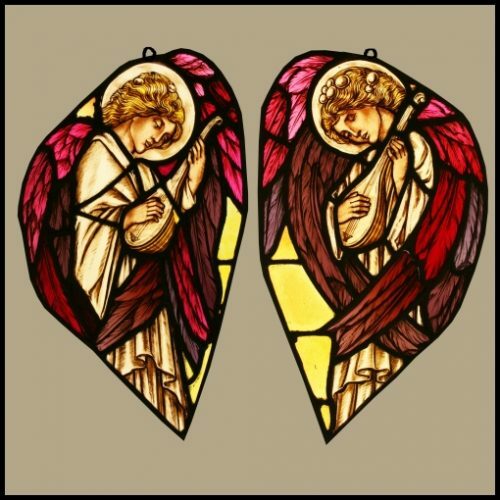 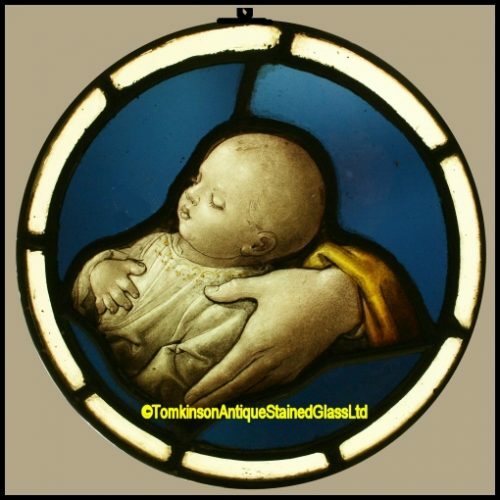 Two original 16th century Flemish stained glass panels, each leaded with hand painted glass. 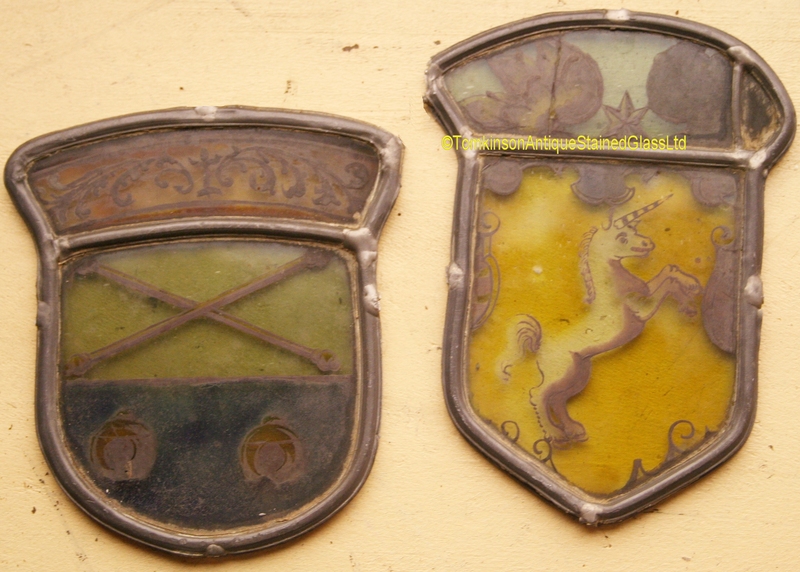 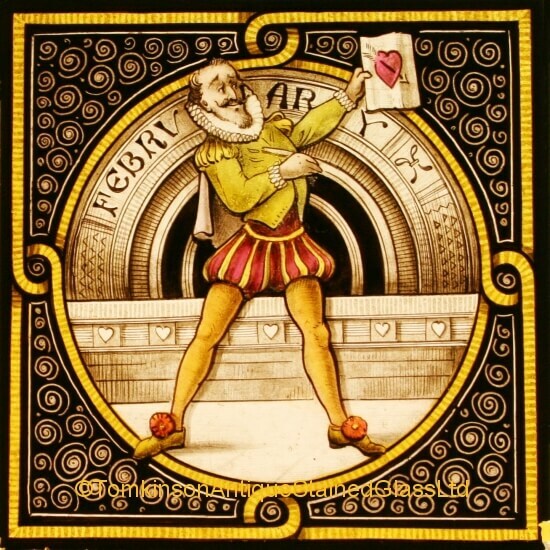 Left panel depicts an armorial shield. 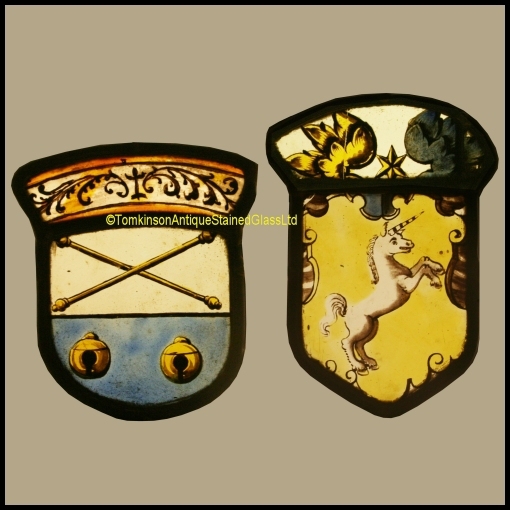 Right panel has a unicorn rearing, above is a star and foliage.